The veteran actor was hospitalised in HN Reliance Foundation and Research Centre in Girgaum on March 31 after complaining of severe dehydration. 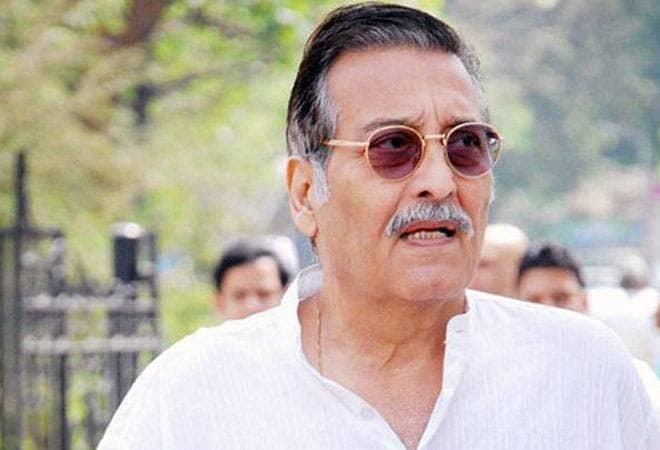 Bollywood actor Vinod Khanna passed away on Thursday morning at the age of 70 after prolonged illness. A photo of the actor was circulating the internet where he looked frail and thin which sparked rumours that he was suffering from bladder cancer. However, Khanna's sons said that their father was stable and recovering. The star reportedly died in the early hours of Thursday. Born on October 6, 1946 he has been starred in many films like Amar Akbar Anthony and The Burning Train. He made his acting debut with Mann Ka Meet in 1968. He went on to win numerous awards, including the Filmfare award for best supporting actor for Haath ki Safaai and in 1999, the Filmfare Lifetime Achievement Award, and again in 2007 he won a lifetime achievement award at the Zee Cine Awards. He was seen in more than 100 films between 1968 and 2013. However, in 1982 he decided to quit the film industry in his peak years and follow his guru Osho Rajneesh. After a five year break, he returned to make hit movies like Insaaf and Satyamev Jayate. Khanna joined politics in 1997 and got elected from Gurdaspur constituency in Punjab in the Lok Sabha polls. In 2002, during the time of the Atal Bihari Vajpayee government, he became Union minister for culture and tourism. Six months later, in January 2003, he became a Minister of State in the Ministry of External Affairs. Khanna lost the 2009 election, but was re-elected from Gurdaspur in 2014. He was one of the first from Bollywood fraternity to have joined politics, in 1997. Vinod Khanna acted in several top Bolywood hits in the 70s and 80s such as Mere Apne, Mera Gaon Mera Desh, Gaddaar (1973 film), Jail Yatra, Imitihaan, Inkaar, Kuchhe Dhaage, Amar Akbar Anthony alongside Amitabh Bachan and Rishi Kapoor, Rajput, Qurbani, Kudrat, Dayavan, Kaarnama,Suryaa: An Awakening, Jurm and many others. He was last seen in the Shah Rukh Khan starrer 'Dilwale' in 2015. Vinod Khanna has four children - Rahul Khanna, Akshaye Khanna, Sakshi Khanna and Shraddha Khanna. The film fraternity are sending messages of condolences to the actor's family and expressing the loss to the film industry. RIP #VinodKhanna sir. You were the fantasy of most women in the northern India through the 1980s. You shall be missed by one and all ??? ?